It was another very busy Saturday at CCFC with four sections in our weekly quads! The first quad was won by Ryan Young who returned from the night before to win yet again. 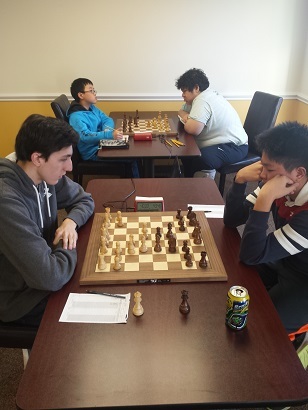 Young defeated NM Zachary Tanenbaum in a marathon 60+ move final game to clinch the victory. Meanwhile, in the second quad, Derrick Xiong & Kenneth Young both tied with 2.5/3! Luis-Jamie Casenas won by the narrowest of margins in quad three while quad four was won by Luis-Joshua Casenas who won all three of his games!